The post resumes its original name, Kenison-Hooper Post 128, honoring the town's fallen soldiers. STANDISH — The American Legion post in Standish is honoring two of the town’s fallen veterans by returning to its original name. After more than 10 years as the Standish Memorial Post 128, the group is being renamed the Kenison-Hooper Post 128. The Standish Legion was founded in 1922 and named for Cpl. Berdan J. Kenison, believed to be the first serviceman from the Standish community to die in World War I, according to Post Historian Harold Ware. A second name was added after World War II in honor of Pfc. Stuart W. Hooper, who was killed in Italy in 1944. The Standish post went under the Kenison-Hooper name until sometime in the 1980s, when Ware says it became inactive, likely because of a lack of membership at the time. When the post became active again in 2006, the Kenison-Hooper name somehow fell by the wayside in the effort to get back up and running. The post has since spent more than a decade as the Standish Memorial Post. Now it is changing back. “A lot of us have wanted it for a long time,” added Ware, 85, a former post commander who noted that the post was unanimous in its decision to return to the old name. Ware said he is one of two current members whose fathers served in the post after World War I when it was still the Kenison Post. Paul L’Heureux, the Adjutant for American Legion Department of Maine, helped the Standish Legion in their renaming quest. “I would guess 75 percent of them are named after a person who died in battle,” L’Heureux estimated referring to posts around the country. Ware sent L’Heureux a letter in January asking for help after the national organization initially tuned down Post 128’s request for a charter renewal, citing insufficient information. Both Ware and L’Heureux say that family members must sign off when a post wants to name itself after a local veteran, but there was a problem: nobody could find relatives of Cpl. Kenison or Pfc. Hooper. 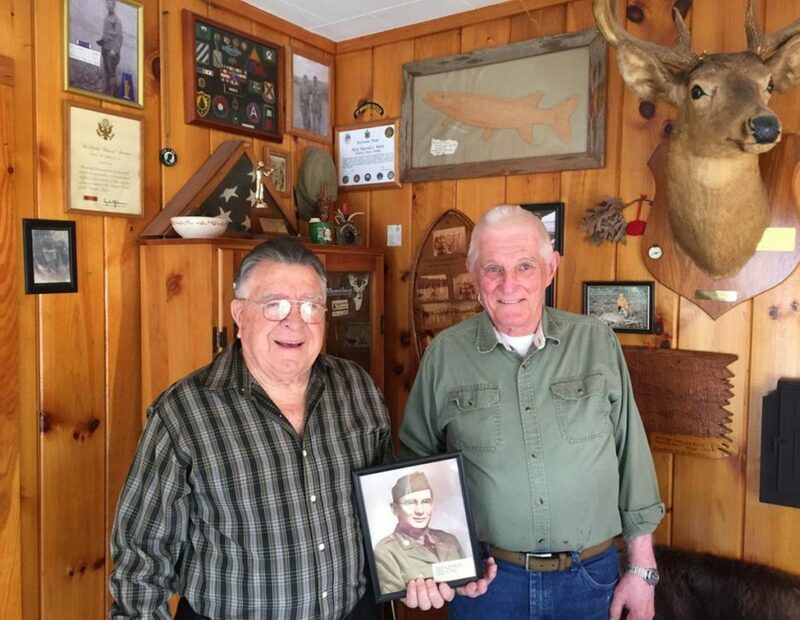 After conducting a search of Maine Legion and Standish town records, L’Heureux said they were eventually successful in convincing national that relatives of the two fallen veterans couldn’t be found. “If you got the OK to name it the first times, chances are it didn’t go away,” L’Heureux said, adding that “common-sense prevailed” in the end. The post has about 70 members – about 20 of them actively show up for meetings, according to Post 128 Commander Don Roy. It will host a potluck supper on Thursday when state legion officials are slated to present the Standish Post with their new charter recognizing the name change.